Machine recommendations for six common laser uses. 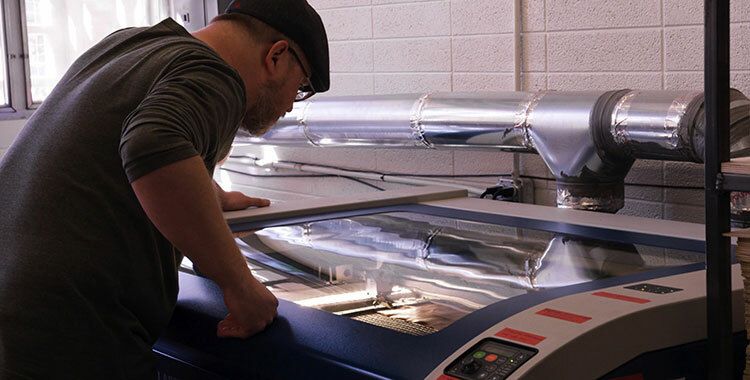 When you purchase a laser cutter and engraver it’s important to understand your industry, applications, and materials so you can select the very best laser for your needs. 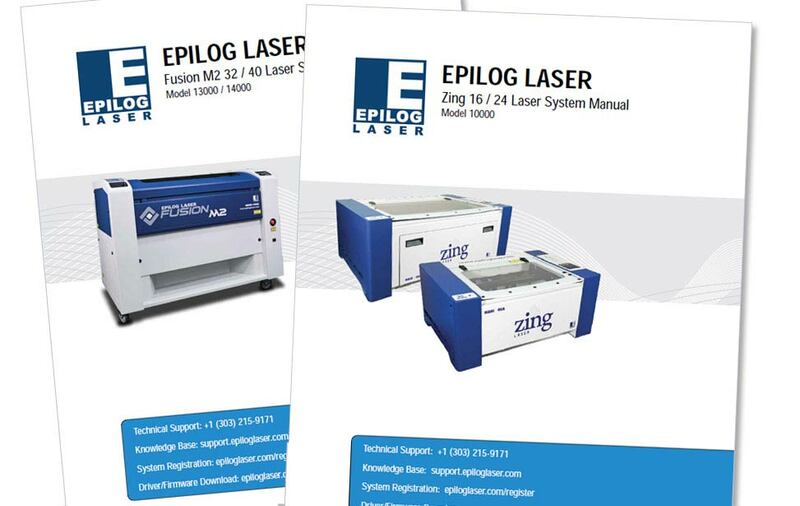 While Epilog provides multiple machines that will work regardless of your material demands, these guidelines have been designed to help you choose the right laser for your particular applications. The Epilog Zing 24 is a popular choice for starting a small business because of its compact size and incredible versatility. 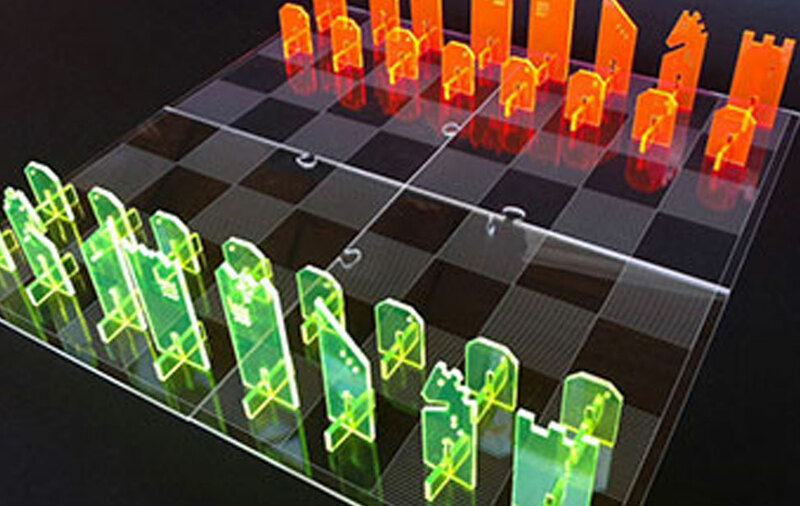 Many laser-friendly materials (wood, acrylic, plastic, etc.) come pre-cut in 24” x 12” (610 x 305 mm) sheets, which matches perfectly with the Zing 24’s engraving area! 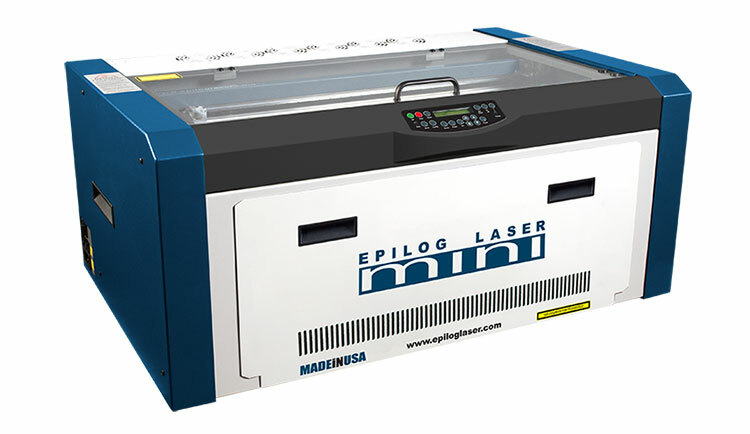 The laser engraver is powered by a 50-watt CO2 laser tube with ceramic components, which balances long life with a low recharge cost. 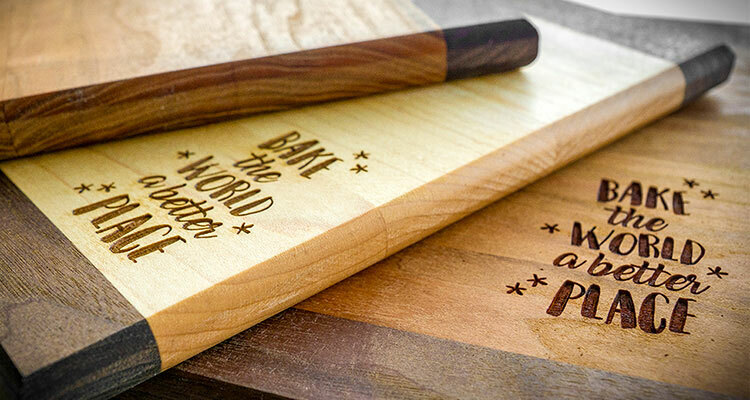 A CO2 laser allows you to engrave and/or cut the wide variety of materials you will likely utilize as a small business owner, including wood, acrylic, plastic, leather, fabric, anodized aluminum, and much more. The Epilog Zing 24 also allows you the ability to add on a Rotary Attachment for the engraving of glasses, mugs, wine bottles, and other cylindrical items up to 5.25” (133 mm) in diameter. The engraver is incredibly easy to use and is designed to operate through a print driver. 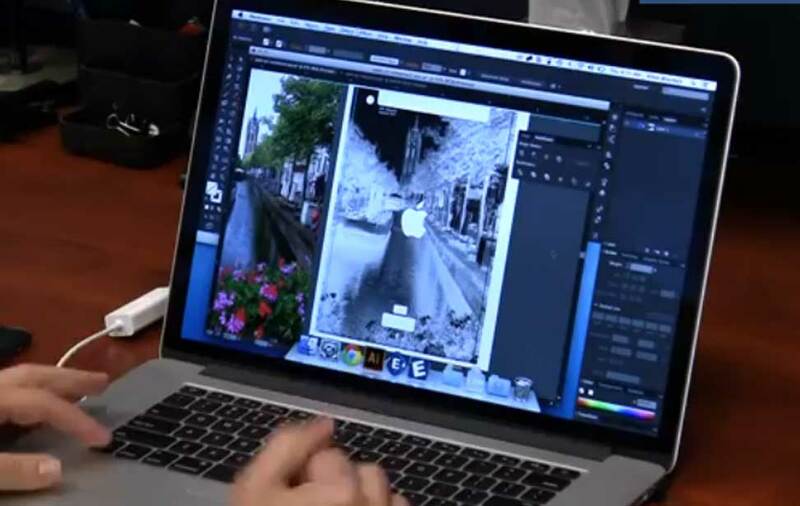 You can set up your graphics in almost any graphic design software, including Adobe Illustrator, Photoshop, CorelDRAW, AutoCAD, Inkscape, and many more. 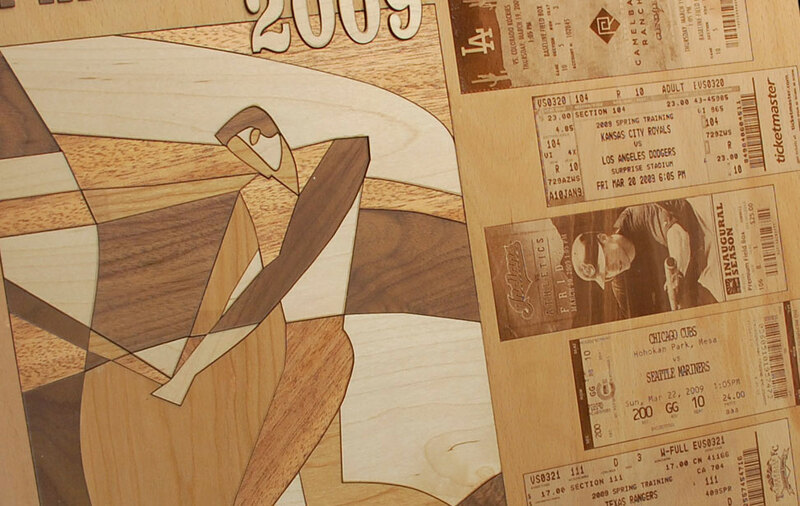 Set your page size to the size of the piece or area you are engraving, lay out your graphics just like you are printing to paper, and send it to the laser. You can choose a speed and power setting based on the material you are using. Learn more about the Zing Laser Series. 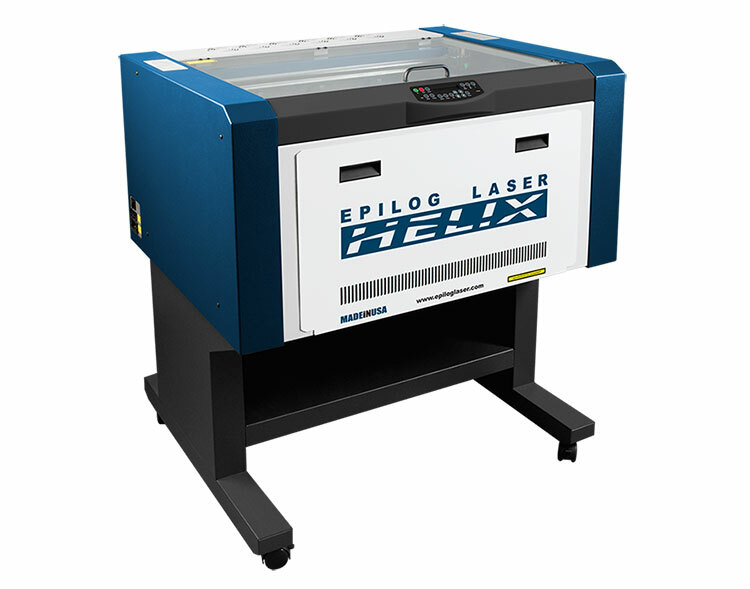 The Epilog Helix is a favorite for glass engravers because of the large z-depth of the motorized table. By moving the table down, you can place a large item up to 8” in diameter on the optional Rotary Attachment. When you want to engrave a magnum bottle of wine or a large vase, this becomes an indispensable feature. The 60-watt sealed metal/ceramic laser tube is an excellent choice for glass etchers, providing the power to run the laser at high speed for engraving. Add on the optional 4” lens to engrave a table full of glasses without using the Rotary Attachment. The 4” lens elongates the laser beam providing a longer focal point, allowing you to engrave around a curve on wine glasses and mugs without needing to rotate the glass. Learn more about the Legend Laser Series. 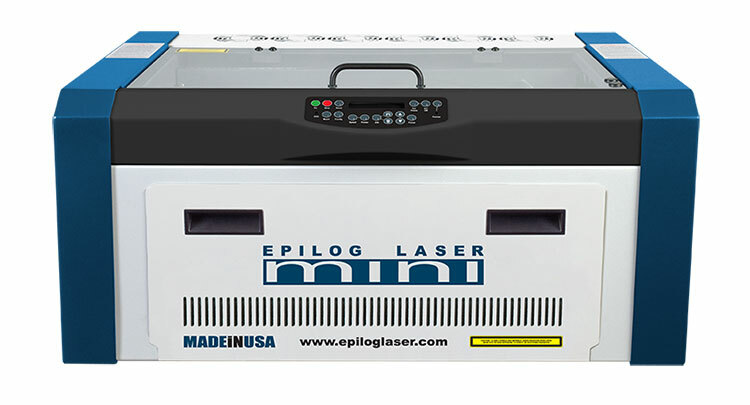 When you are looking for a small, lightweight laser system for traveling to craft shows, tradeshows, and other events, the Epilog Mini 18 is a great choice. Weighing only 70 lbs. (32 kg), the laser machine can be moved easily, and you can add on an optional rolling cart that attaches directly to the laser body and brings the machine to an accessible desk height. Alternatively, you can set the laser directly on a table or filtration unit to maximize space in your workshop or booth. The 40-watt system’s powerful laser tube will cut through up to ¼” hardwoods and acrylics in a single pass. Having the laser on display at events provides an instant wow factor to your space, as attendees can watch the laser work on your products. It also lets you offer customizations on the spot, adding customer names and event dates to your items right at the show or fair. The Center Engraving feature lets you quickly set up such custom jobs right at the laser. Just choose the center point of your object, draw a vector box around the graphic you want to engrave, and run the vector job with the lid open and red dot pointer on. This gives you the exact location where the graphic will be engraved! No guess work or endless measuring means you can run the laser at a show with minimal hassle. 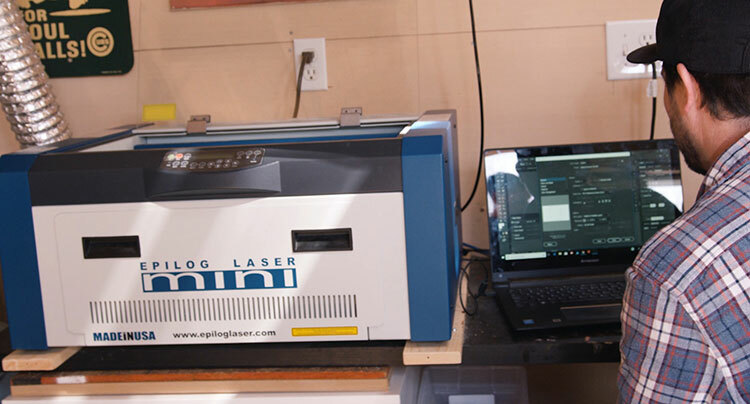 When looking for a laser engraver to handle more industrial applications, like metal engraving, barcoding and serializing parts, many of our customers look to the FiberMark. This system features the ability to engrave directly — with depth — into almost any metal and to change the colors of engineered plastics when engraved. A 50 W fiber laser will quickly create multiple marks on steel, aluminum, brass and more, including etched, polished and annealed marks. Engrave 2D, data matrix, UPC or any other type of barcode with a FiberMark. You can etch barcodes onto metal tags to affix to your machinery or even place an entire piece into the laser using the 24” x 12” (610 x 305 mm) work table. 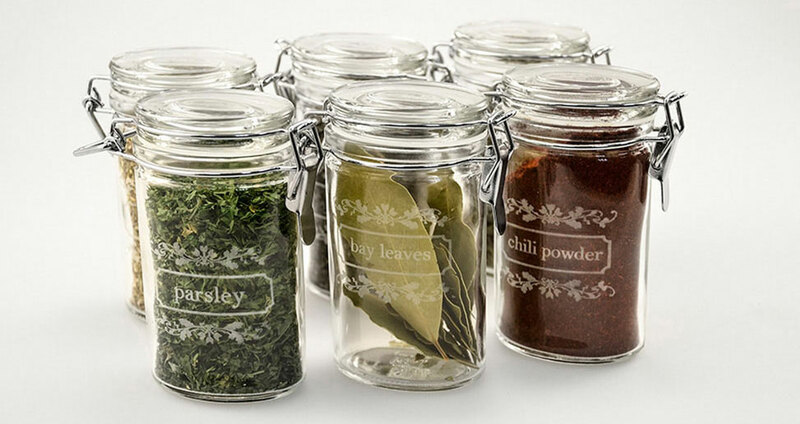 Engrave one custom item or multiple pieces at the same time. 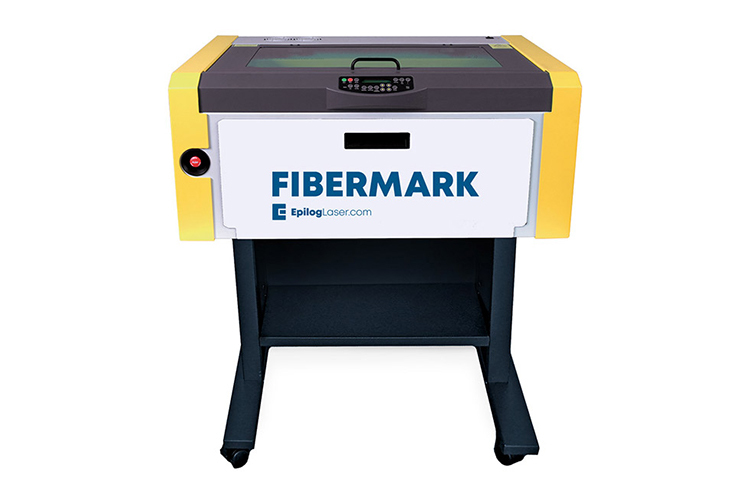 Learn more about the FiberMark 24. 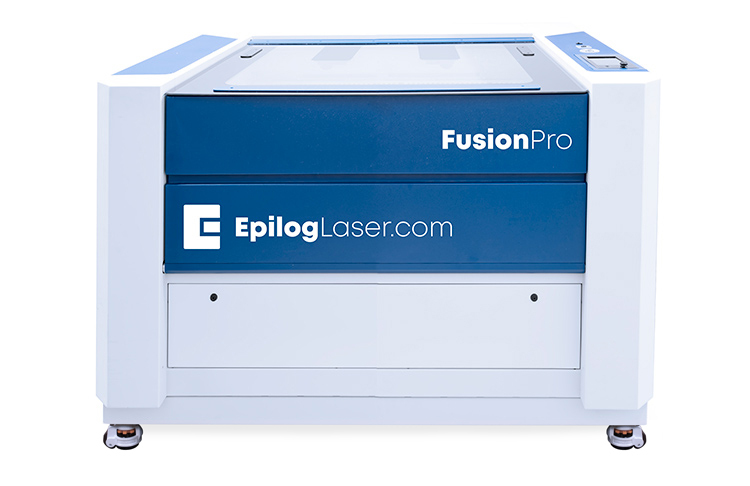 Epilog’s new Fusion Pro series features two laser sizes: 32” x 20” (812 x 508 mm) and 48” x 36” (1219 x 914 mm). These highly-anticipated systems introduce the industry’s highest-speed engraving and the most precise camera positioning features on a laser system. 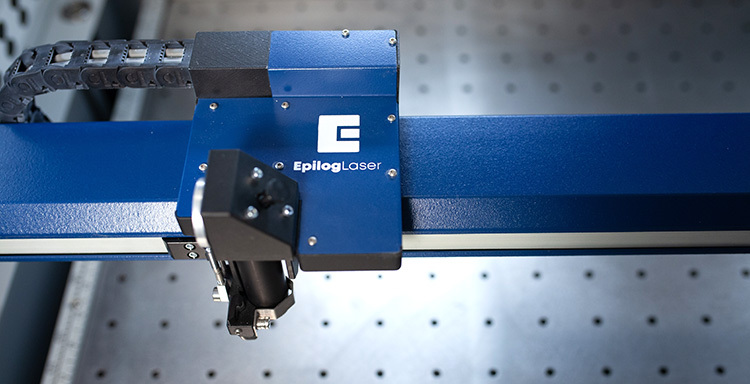 The Fusion Pro Series introduces Epilog’s IRIS™ Camera System, which features overhead cameras that allow users to see a real-time image of the laser bed, and laser operators can precisely position their artwork on the engraving piece in less time than ever before. An additional camera at the lens assembly can also be used for finding registration marks on preprinted pieces. The IRIS camera system on the new Fusion Pro is a game-changer for those looking for high-precision and quick setup of projects. Highest Engraving Speeds: The Fusion Pro’s 165 IPS engraving speed and 5G acceleration combine to provide the fastest engraving in the industry. Touch Screen at the Laser: Select between jobs, change settings, and more right at the laser from the easy-to-use touch screen. SAFEGUARD™ Features: Keep the mechanics of your laser machine cleaner than ever before with side bellow enclosures, a fully covered x-axis assembly, and covered lens assembly. Learn more about the Fusion Pro Laser Series. Woodworkers tend to look for a variety of features – low price, easy job setup and generous laser wattage. This model checks all of the boxes, with an included Vector Cutting Table built into the system and a laser tube capable of cutting through 3/8” wood in a single pass. Flip up the rulers on the engraving table to quickly remove the engraving task plate and place the honeycomb cutting table in the machine. Good exhaust will be important to any woodworker, so attach a strong exhaust fan to the back of the laser’s 4” port to remove smoke and fumes from the work area. By hooking up a small air compressor to the back of the machine you can also make use of the Mini 24’s built in Air Assist feature that will blow a constant stream of air on the work surface, keeping down flames when cutting through thicker woods and providing the best edge quality possible. When you are done cutting your project, any pieces that have fallen through the cutting table are collected by the handy removable crumb tray and can be disposed of with ease. High-resolution engraving is very important to a woodworker, and the Mini 24 provides Epilog’s famous engraving quality. With resolutions up to 1200 dpi, you won’t find a machine on the market that can engrave as detailed of graphics at such high speeds. Which is the right laser for your application? You’ll want to take a look at your specific needs to find the model that will best fit your situation. 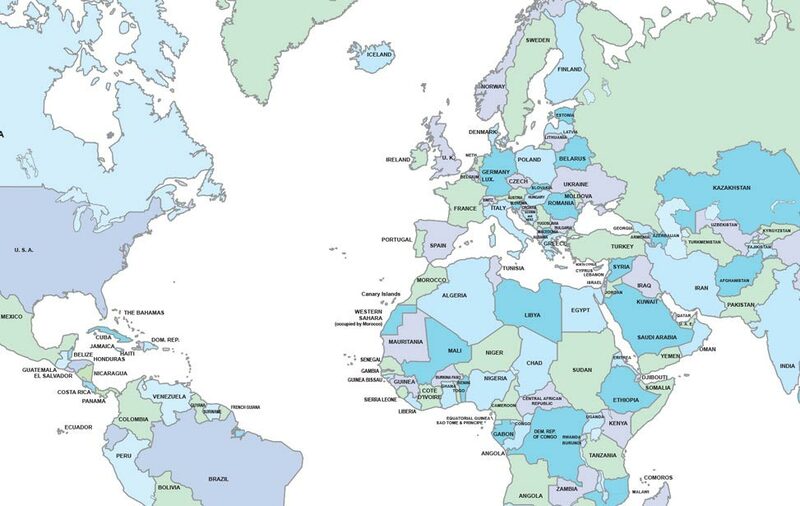 We always recommend setting up a live one-on-one demonstration with our distributors located worldwide. 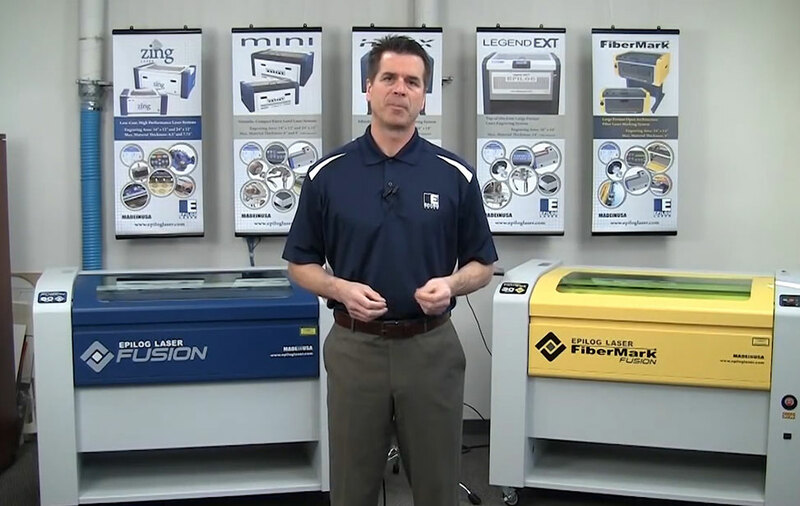 They can teach you how easy it is to use the laser and help you find the right machine size and wattage to fit your budget. 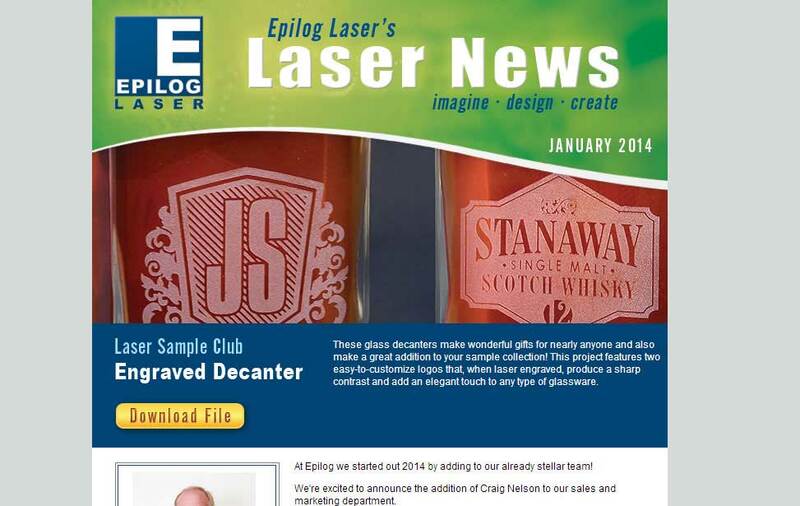 Fill out the form to request a brochure and sample kit to see what you can start making with your own laser machine from Epilog Laser! Ready to narrow down which machine would work best for you? Fill out the form on this page to receive a full product line brochure with engraved and cut samples, or call the number below for more information.